After yesterday’s piece by Ron on the idea that Android manufacturers need to slow down, we had another reader step up and put together a well-thought-out rebuttal. As a site that prides itself on having the greatest group of Android enthusiasts in the world, this is the type of stuff that solidifies that claim. Who else sees discussions turn into featured posts by readers? Let’s take a look at what Skipper K. has to say. Is Android coming at us too fast and too hard? Are we really better off with fewer handsets? 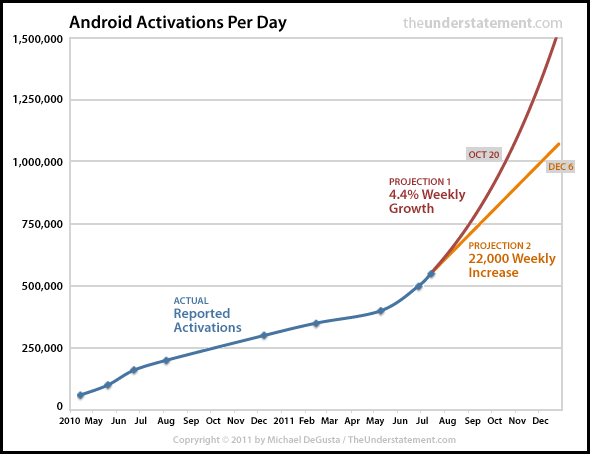 It’s been argued that Android manufacturers need to slow it way down. We’re inundated with new devices; it seems like every week there’s a shiny, brand-spankin-new model with iterative, minuscule feature updates. Even within the same make and model lineup one can get lost or left behind seemingly in an instant. Just look at your and my favourite device of all time: the OG Droid (don’t argue; it’s your favourite). Ah, the OG. It’s been called the Droid, Droid 1, OG Droid, Sean Connery Droid, and Battlestar Galactica (OK, maybe I’m the only one who’s called it that). A ground breaking device in it’s day, it began to feel a little dated when the Droid X was released a scant 9 months later. And then the Droid 2 a month after that…and the Droid Pro the same month. Then the Droid 3, X2, Bionic, and now the RAZR. 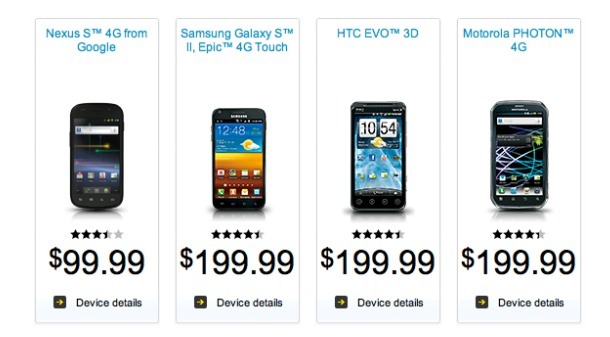 What’s next, the Droid X3.5 Halloween followed by the Droid X3.6 Thanksgiving Slide? We hear the same story from HTC, Samsung, LG; heck, even Sony Ericsson! Take them all together, and it feels like there’s a new device hitting daily. The phone you pre-ordered today is obsolete the day before it ships! Slow down and take a breath there, turbo. What we need is a big heaping dose of perspective. Whereas this situation is fairly annoying to gadget bloggers who have to write about every device release imaginable and gadget enthusiasts who can’t seem to keep a single device for even half of their contract period (guilty), these two demographics are far from the targeted consumer. With the heroic rise in Android adoption over the past few years, I’m going to go out on a limb and say that Google, Moto, HTC, Sammy, and the rest of the gang have to be doing something right. We, and the public at large, love Android for two major reasons: choice and openness. Openness doesn’t really play into the hardware refresh rate, so we’ll focus on choice. Want a 4G device? Long battery life? Killer screen? Slider QWERTY? Pico projector? 3D (all five of you)? Large screen? Small screen? Gaming? Rugged design? Business? Droid Does. Rather, Android does. All of it. Not only will the dizzying pace of hardware development accommodate any taste or style, but it accommodates one other personalised factor: contract expiration. Unlike some companies with fruit logos and an outdated, child-like user interface (which shall remain nameless, like Voldemort), Android isn’t tied to a single hardware refresh per year. Combining this with the breakneck release fury of the manufacturers, this means that you can always be assured of having the option to purchase the latest and greatest handset within weeks of your renewal date. No paying for last year’s hardware with this year’s prices. If you want the best, you got it. Want to save some cash and still whip out a slate that makes applesauce out of the competition? There are plenty of slightly dusty but more than capable devices for that, too. I can’t really see the downside. If it were a case of quality being sacrificed for quantity, there might be a point; but it’s not. Take, for instance, the Motorola Atrix. A knock-down, drag-out device of awesome when it was released (I won’t mention Blur), but a mere 8 months later and there’s already an upgrade: the Atrix 2 (I won’t mention the SGSII). It’s easy to look at this and cry foul at Moto; quantity over quality! But this begs the question: where’s the quality gap? The Atrix was a phenomenal device, and the Atrix 2 is even moreso. The Atrix 2 is hardly more than an iterative upgrade, to be sure, but it’s still an upgrade. My point is this: releasing multiple hardware devices year round is nothing but good for the market. Smartphone growth is still soaring, and the market has yet to be saturated. If that’s the case, why wouldn’t we want to see an army of our favourite little green bots assaulting Verizon, AT&T, Sprint, T-Mobile, and Cricket stores every single month? More handsets means more developers and better apps, and the average consumer won’t care that the Droid Bionic they purchased isn’t as snazzy as the Droid RAZR, or that their Droid X might not get a timely update to IceCreamSandwich. We, the Geek Elite, are the only ones who bother about such things; and we should be happy to have so many devices over which to drool and lust! I don’t know about the rest of you, but I have a Droid Life problem. I’m mashing refresh on Droid Life and Android Life all day waiting for some sort of news. Why should I complain when my proverbial cup runneth over? Android isn’t like those other guys. They have their success plans, and we have ours. The last thing any of us want is for our beloved Android to morph into some hideous iVoldemort, and trying to artificially direct the organic flow of handset development will do just that. Choice is the beauty of Android, and manufacturers choose to develop a slue of handsets year round because, well, that’s what the market wants. Haven’t we had enough of companies dictating to the market what it should do? I, for one, am refreshed to see an ecosystem where it works the other way round. thighs and smiles to your faces. And for those of us who do care about Vanilla Android, OS updates, and the latest features? As always, care to comment?